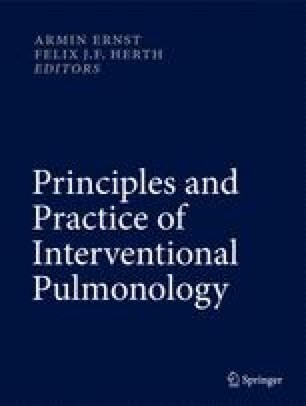 The development of cross-sectional and bronchoscopic technique making advantage of optical and ultrasound imaging technology as well as therapeutic interventional options has had considerable impact on the management of pulmonary diseases. While interventional pulmonology is mainly limited to the central half of the tracheobronchial system, CT and even more MRI are limited to the central tracheobronchial structure. However, cross-sectional imaging provides information distally to a stenosis, e.g., the relation of a lesion to the adjacent anatomy, and allows for detailed evaluation of the parenchyma. This includes the whole lung from apex to bases, while bronchoscopy is limited to a certain point of view. Furthermore, CT and MRI provide the possibility for functional judgment of parenchyma and bronchi in terms of perfusion, ventilation, collapsibility, and others, while endoscopy is capable for real-time imaging during continuous respiration including the option for manipulation, biopsy, and even treatment. A wide range of synergies of radiological and advanced interventional endoscopic procedures in patients with both central and peripheral airway disease is the result of this concept. Dr. rer. nat. Oliver Weinheimer for the development of the fully automatic analyzing YACTA software and the processing of so many CT data sets (Figs. 8.7 and 8.8). Miss Melanie Segovic for the analysis of many CT data sets in adequate quality and the reliable data management together with Carola de Silva.